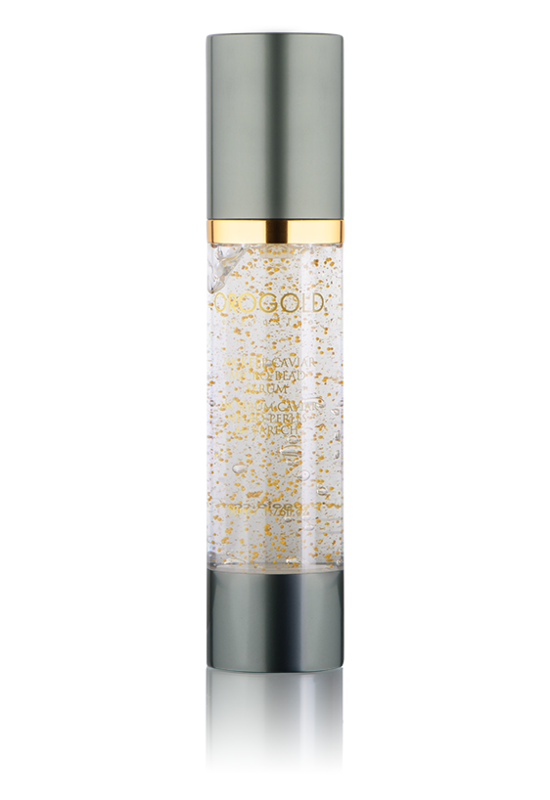 OROGOLD’s 24K Caviar Collection consists of 24K Kelp Caviar Micro-Bead Cream, 24K Kelp Caviar Micro-Bead Serum, 24K Caviar Elastin Restoration, 24K Caviar & Sea Kelp Mask, and 24K Wild Caviar to deliver vibrantly hydrated skin. The collection is formulated with a host of extracts including caviar, green tea and aloe, combined with sodium hyaluronate and gold to give the skin a firm and youthful appearance. These five products are designed to complement one another when used as a complete collection; providing a radiant finish to your complexion. Apply a small amount of 24K Kelp Caviar Micro-Bead Cream all over your cleansed face. For best results, apply over 24K Kelp Caviar Micro-Bead Serum. Our 24K Kelp Caviar Micro-Bead Cream is formulated to reduce the appearance of fine lines and wrinkles. Kelp Caviar Extract, in itself is a very potent ingredient, helps diminish the slack look of aging skin. The amazing velvety finish leaves a firm, matte complexion; the perfect base for any cosmetic routine. Apply the serum to a clean face as a part of your evening skin care regimen. 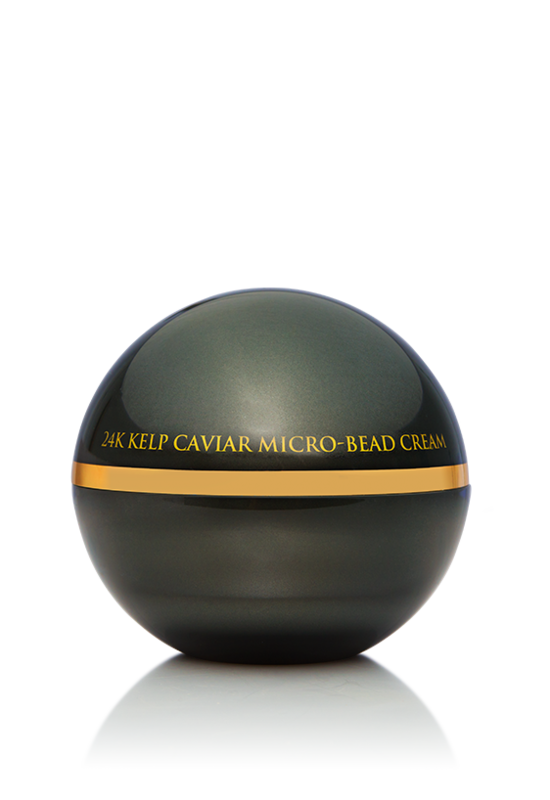 Follow with 24K Kelp Caviar Micro-Bead Cream for ultimate results. This lightweight serum reduces the appearance of wrinkles. The Kelp Caviar Extract helps give your skin a fuller, more youthful look. Accompanied by a delicious scent, this formula absorbs quickly without leaving a trace, except a livelier complexion. Apply a generous amount to cleansed skin. Rinse thoroughly after 15 minutes. Use once per week. This luxurious mask was formulated to reduce the look of wrinkles and to restore the skin’s youthful glow. Using this mask is like a trip to the spa in your own home. The key ingredients work to visibly perk wilted skin, while extracting impurities. 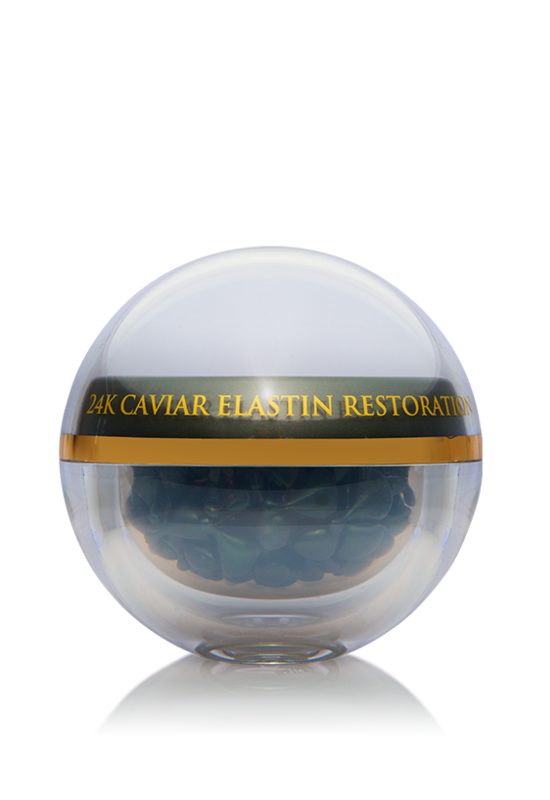 Apply one capsule of 24K Caviar Elastin Restoration to cleansed skin. 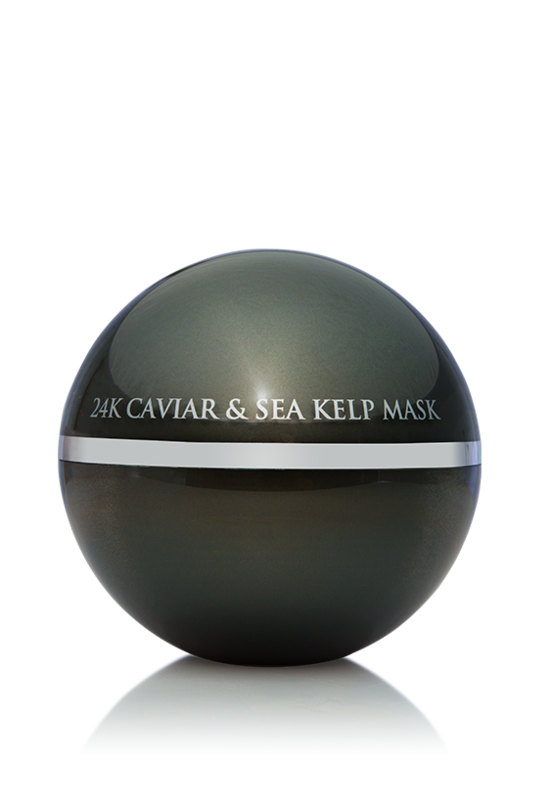 Use with 24K Caviar & Sea Kelp Mask for ultimate results. After one treatment of the 24K Caviar Elastin Restoration, your skin feels unbelievably smooth. This luxuriously textured serum helps reduce the appearance of wrinkles and expression lines. Each ampule gives your skin a plumped look while the flower extracts smooth the skin to create a look of effortless youth. Once skin is cleansed, pour chilled caviar into a small bowl. Use the brush to firmly press down on the caviar, breaking the eggs. Apply the 24K Wild Caviar to your skin and enjoy the benefits of the gold, tea tree oil, and caviar infused formula. Leave on for 15 minutes or until dry, then rinse. For best results, use with the 24K Caviar Collection. 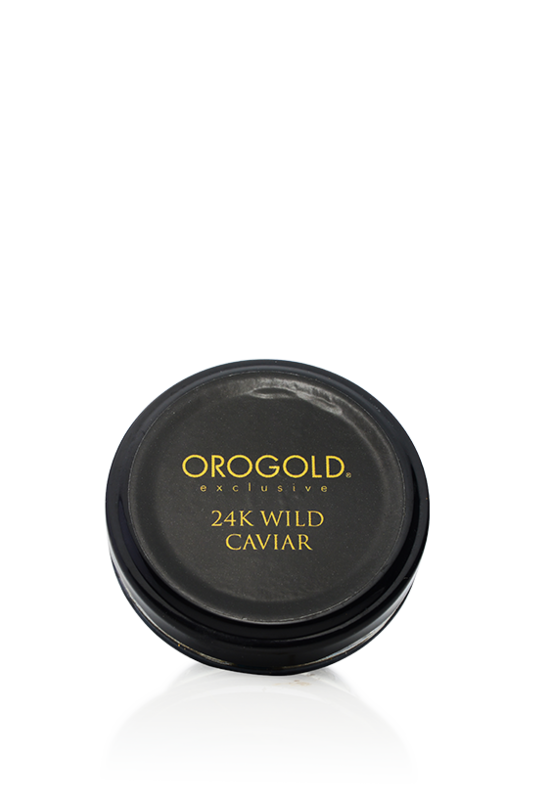 The 24K Wild Caviar is the first product of its kind that brings unbridled opulence to your skin care routine. Indulge in the double luxury of anti-aging skin care infused with not only OROGOLD’s signature ingredient, gold, but also the delicacy of caviar. This unique product is also formulated with the skin-beautifying benefits of tea tree oil to ensure that you always have a special experience and glowing skin to look forward to.